Auckland, New Zealand based drum and bass DJ/Producer Eavesdrop is no stranger to Empathy Recordings having previously released music on the compilation “Is this Code” back in 2003 under the guise Grim Da Vide, and on 2010′s Rumble in the Jungle compilation as Fractured Noise. 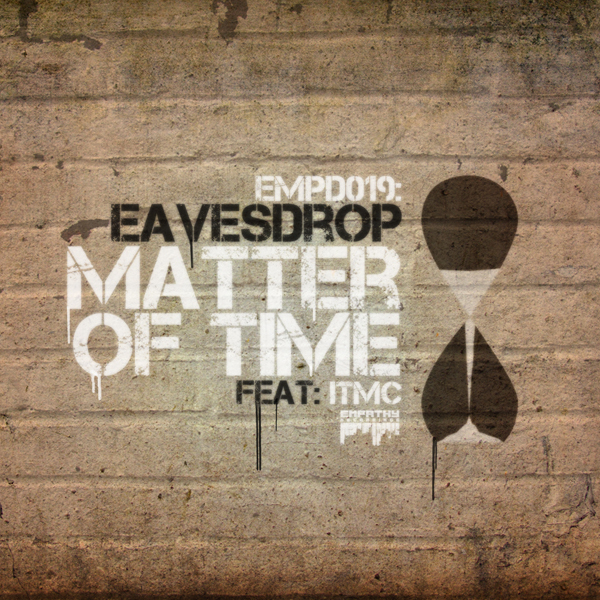 Now under the pseudonym Eavesdrop, he brings You “Matter Of Time” a new 3 track single release featuring Auckland Based Hip hop and dance music Toaster and M.C “Imagine This”. The title track is packed with killer rhymes and deep pitching bass lines, it’s a subtle number that’s as deep as they come. On remix duties we have French based producer Eddy Crusher aka White Papoo. Eddy is a well established breakbeat producer and long time Empathy ally. He sets the bar high with this frenetic tech dnb workout featuring his trademark electro synth stabs and frenzied bass… this track comes ready to destroy any dance floor. Completing the release, Eavesdrop V.S Alias Glitch Remix is a drastic take on the Original mix. With Glitching Vocal effects and a smashing clap and wobble bass line this remix is going to tear up dances floors. Alias was once the Dj/Producer for The Fast Crew, now he’s teaming up with Eavesdrop to produce Glitch hop, watch out for future releases from these guys. 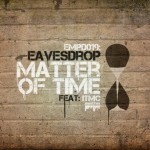 It’s just a matter of time before Eavesdrop blows the roof off… Look out for his forthcoming E.P on empathy next year. This release will be available in all good stores in time for your new years party… 28 December 2010.